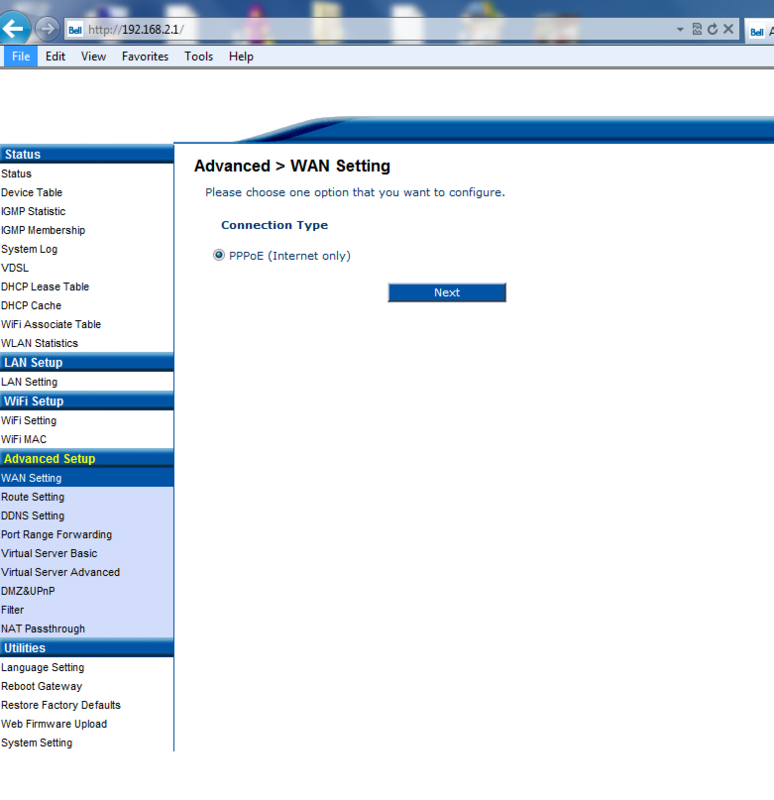 Click on the Wan Setting link on the left side of the screen, it will bring you to the following page below. Click Next. 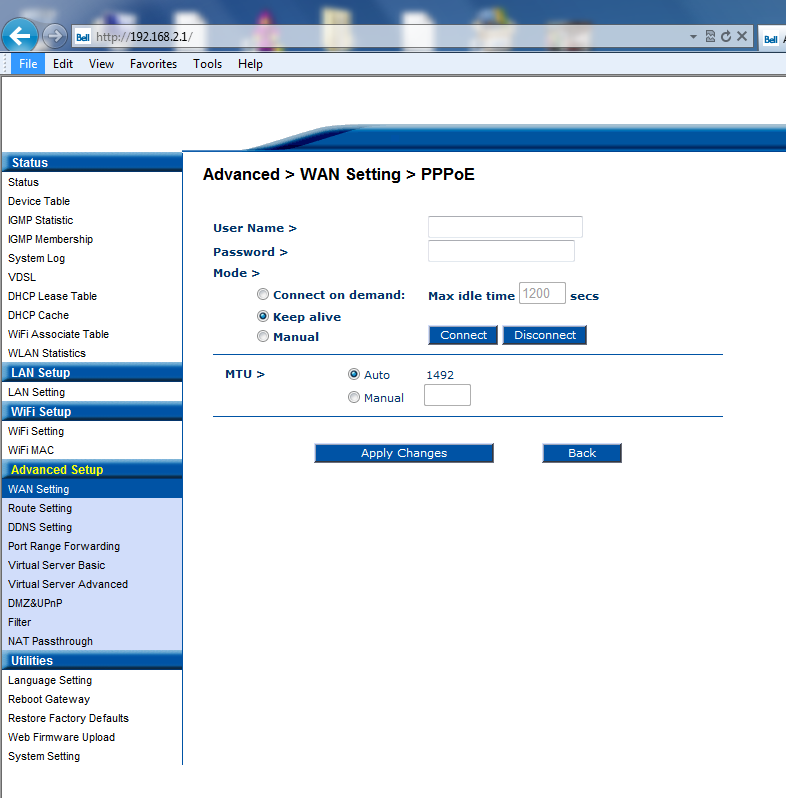 Here you enter your username and password, overriding the defaults in the fields, and click Apply changes. Do not change anything else. The modem will go through a reboot to save the settings. 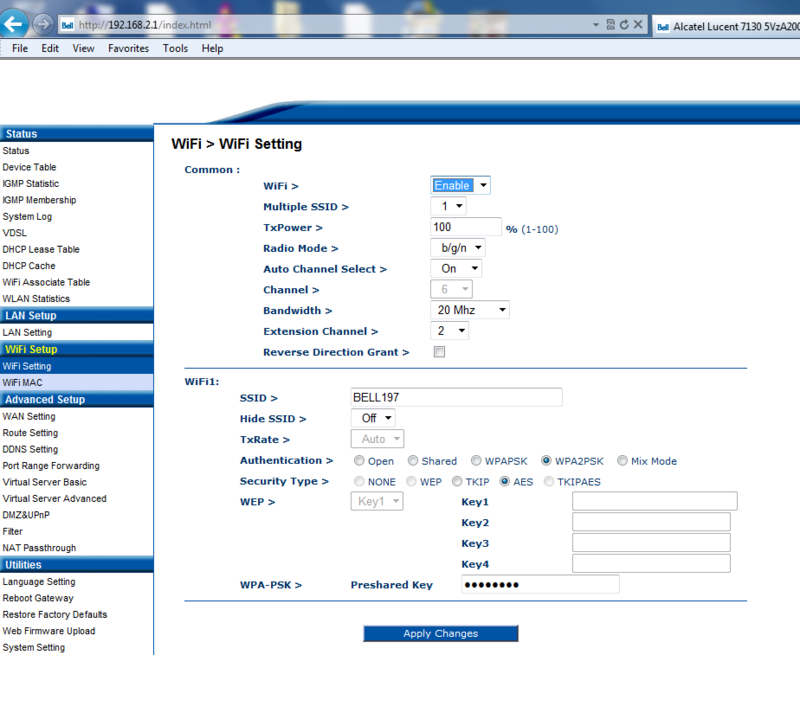 To setup the the WiFi Settings, click wireless on the left hand side, and you will see the screen below. 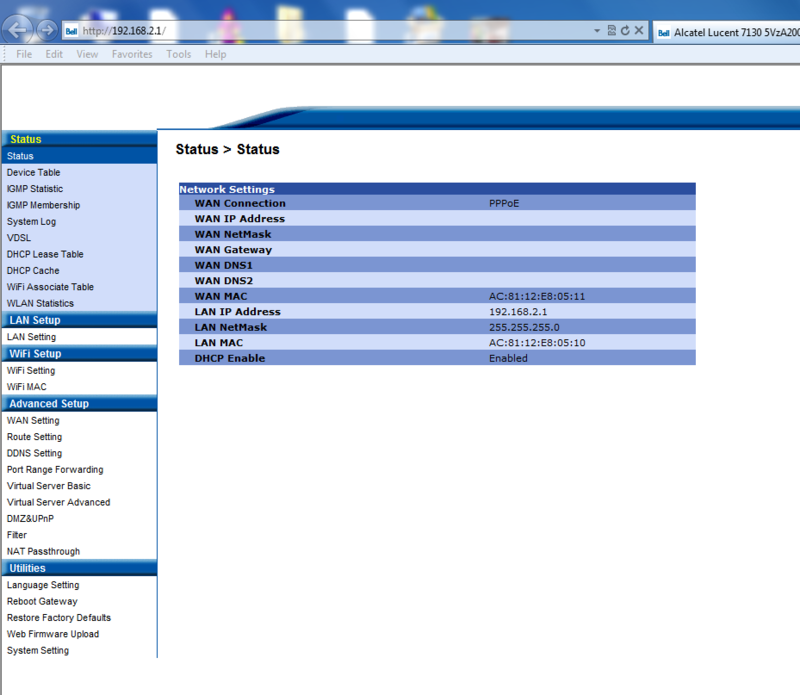 Then change the SSID to the name you want your wireless network show up as (such as Auracom.net or SmithFamily). Then enter the password you want to use in the preshared key. Must be 10 characters. Click save.